The Graphene Touch allows you to experience the perfect combination of power and comfort with with the graphene touch. The material has been re-enginered the material for improved shock absorption upon impact, delivereing comfort without compromising power. The extreme 155 has an adaptive stringing pattern (ASP) this allows you to customise your string pattern to match your game. The traditional 16 main pattern for optimal power, control and added string durability whereas the 12 main string pattern allows a softer feel with maximum power. The comfortech has a PU material has been inlayed into the graphite handle creating a softer grip that dampens vibration for more comfort and playability. 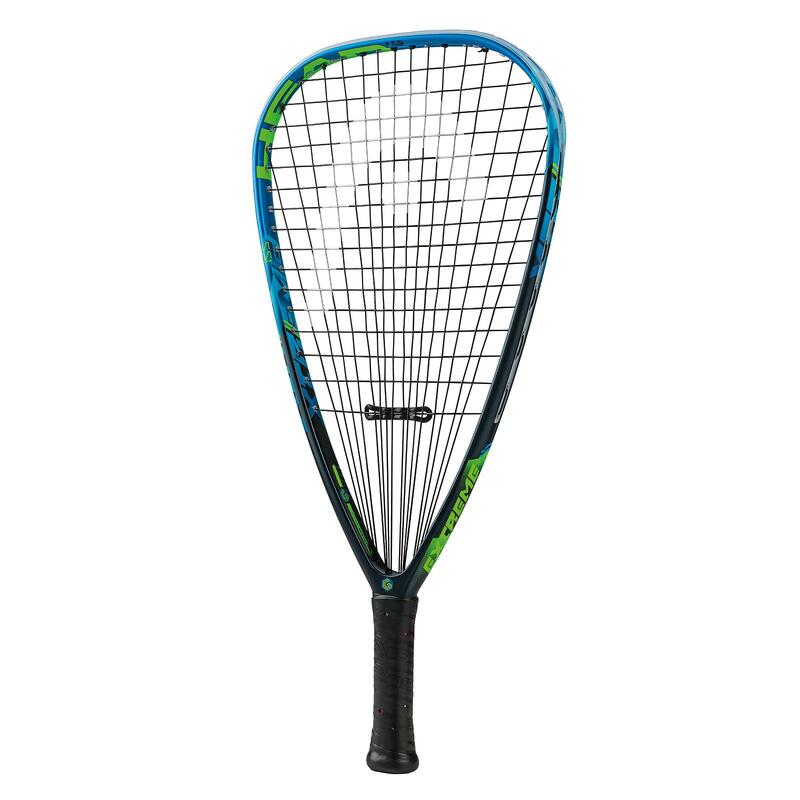 The Delta Frame has the largest sweetspot in a racketball racket, while keeping it centred on the hitting zone, creating concentrated power and precision on every shot. The power channel is created with friction reducing polymer lined tubes in the throat, eliminating exterior string hoes in the frame. This lengthens each main string and creates maximum stiffness which results in an incredible increase of raw power. Free delivery available on Head Graphene Touch Extreme 155! Order now! Do you own the Head Graphene Touch Extreme 155?